hd00:31Beautiful view to Plage de Lozari near Lile Rousse, Corsica, France, Europe. 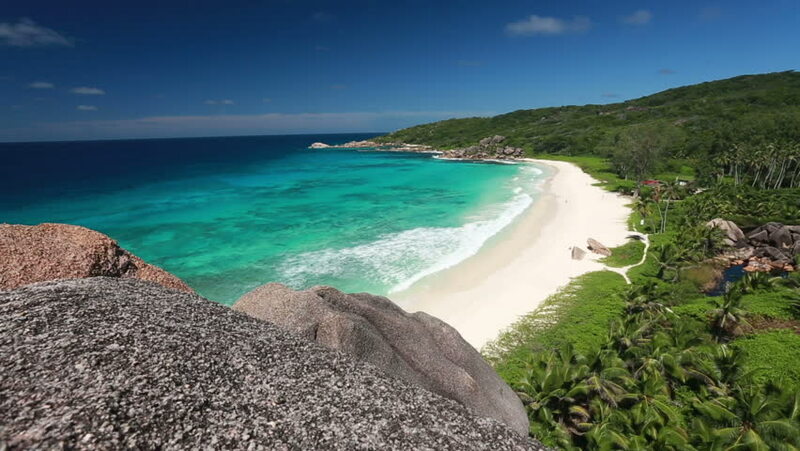 4k00:30Panoramic aerial view of Grande anse in La Digue Island, Seychelles. 4k00:20Aerial view of paradise tropical beach. Brazilian shore With Turquoise Water. Fernando de Noronha is an archipelago of 21 islands in Brazil. In 2001 UNESCO designated it as a World Heritage Site.